When her family returns to the United States, she begins blazing her own trail, swimming against the tides, spurred on by her freethinking liberal grandfather, determined to become a lawyer despite her traditional, conservative father's objections. She forges a lifelong friendship with a young German Jewish woman whose family died in the concentration camps. And while her grandfather rises to the Supreme Court, Meredith enlists in the most pressing causes of her time, fighting for civil rights and an end to the Vietnam War. From the bright morning of JFK's inauguration through the tumultuous years that follow as America hurtles toward the twin assassinations of Martin Luther King and Bobby Kennedy, Meredith joins the vanguard of a new generation of women, breaking boundaries socially, politically, and professionally. But when the violence of the era strikes too close to home, her once tightly knit family must survive a devastating loss and rethink their own values and traditions in light of the times. I really enjoyed this book. I could imagine the characters. Great storyline. Thanks for sharing. Terrific, no one writes and presents like Danille Steel. Can't wait to listen to another story. This just doesn’t seem to be her style of writing & I wonder if someone else wrote it for her. Was very hard to get through. I would not recommend it at all!! Such a good read! I highly recommend it! 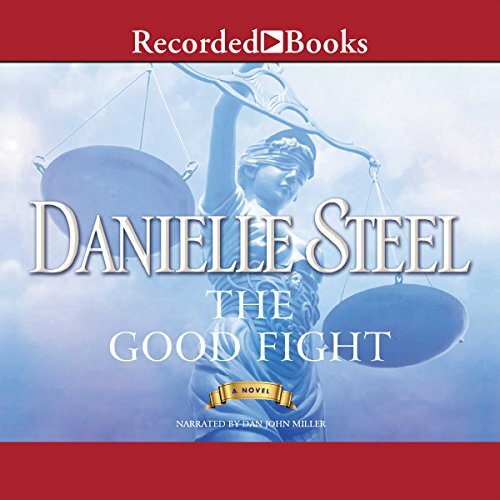 I really enjoy reading all Danielle Steele books! She is an amazing author. waiting for her new books to come out!